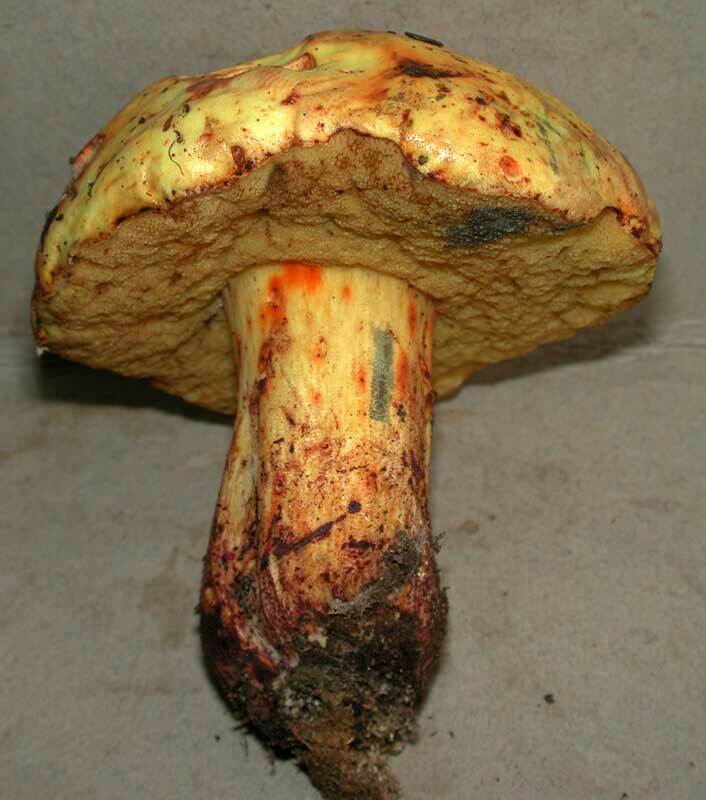 This bolete has been found recently in the southern Talamancas in the Las Tablas Protected Zone bordering on La Amistad International Park under Quercus seemannii. The bright yellow colors, orange or brownish red stains, and instant change to blue in all parts when bruised or exposed are diagnostic. The spore dimensions of the Costa Rican material (8.5-12 × 3.5-5 µm) are at the lower end of the range cited by Kallenbach (1926) (i.e., 11-15 × 5-6.5 µm), but in all other respects, the two known collections from Las Tablas match European descriptions and illustrations. Previously known from Europe and North America.